Today is Arbor Day. 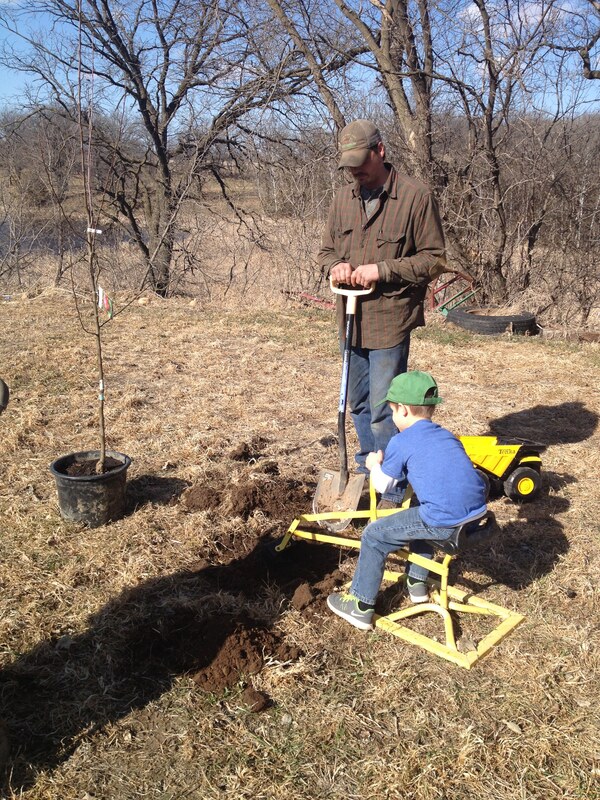 Have you planted a tree? This spring we have been doing some planting. Not corn yet but trees. Along the road we planted 20 flowering crab trees. In the yard, we planted one apple tree and four lilac bushes (I love Lilacs!!) I am looking forward to looking out my window and seeing the pink and red flowering crab trees between the road and the field. 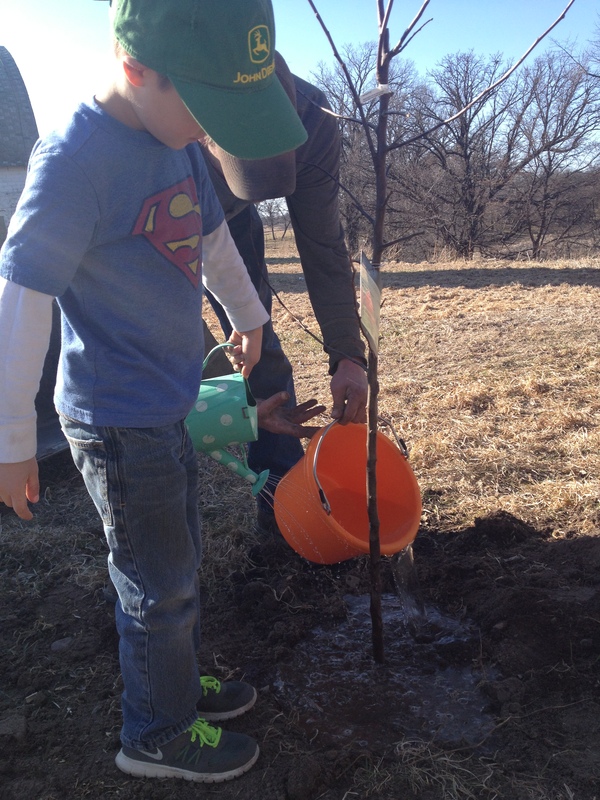 On Palm Sunday afternoon, we had gone to pick out our flowering crab trees. 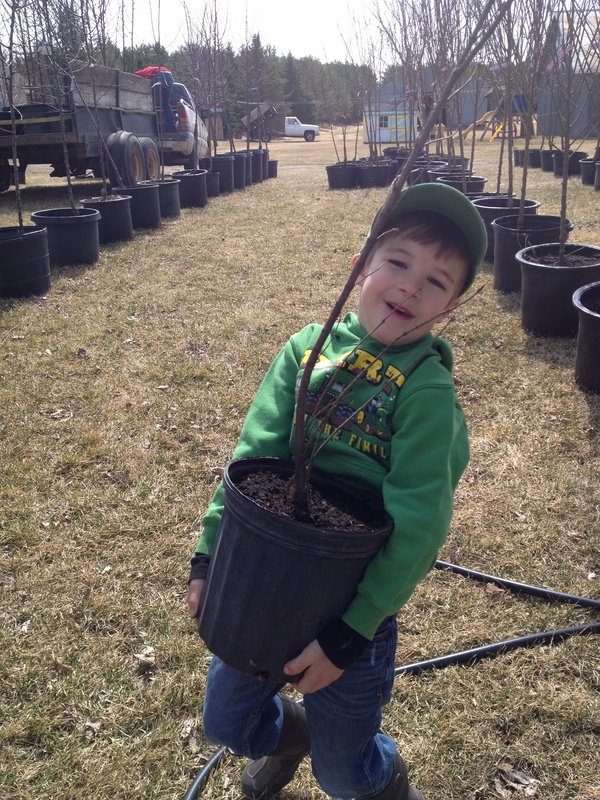 Everett helped me pick out some Lilac bushes. I love Lilacs! We were all ready to do some planting when we got home. 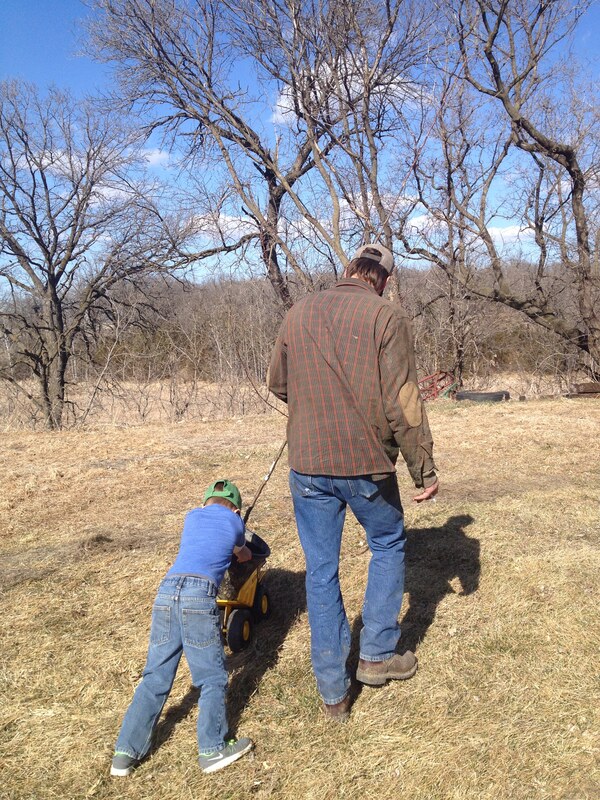 Nate went down with the skid loader and Everett, Vivian and I went down with the trees. 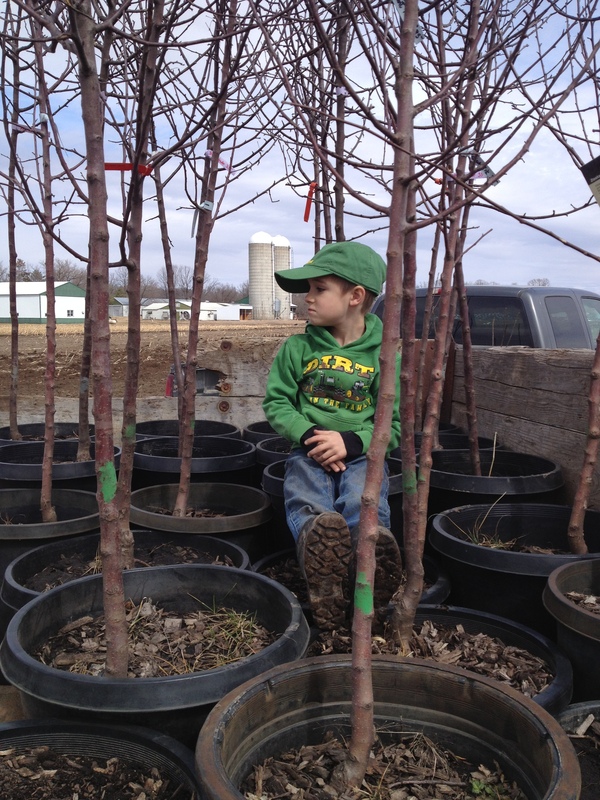 Everett had to sit in the trailer with the trees. Everett telling me to keep going. 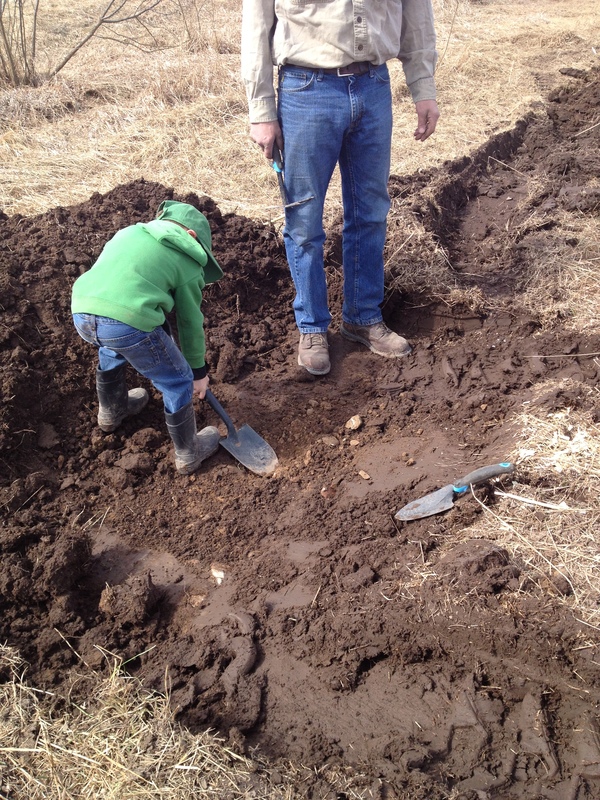 Nate started digging with the skid loader and then thump, What? The ground is still froze! No planting trees today. 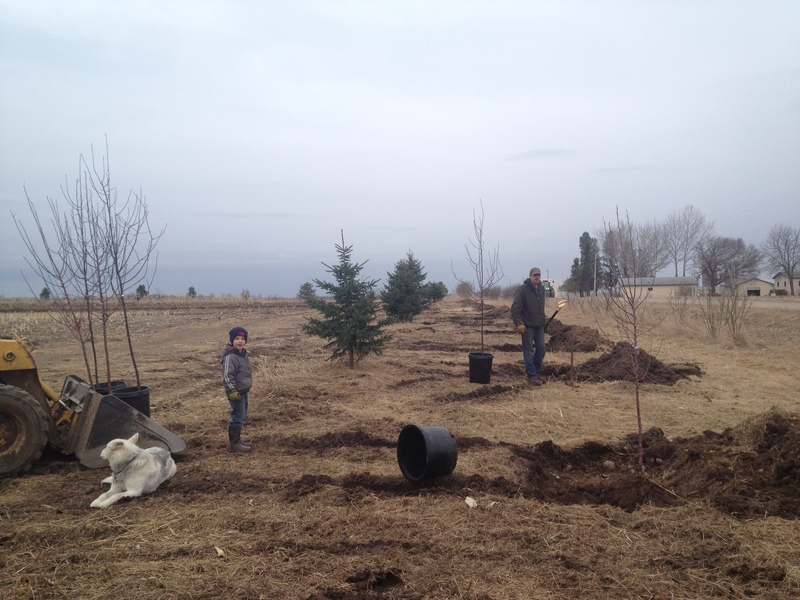 Nate scrapped the grass out of the way where each tree will be planted. Hopefully in the next couple of days the sun will warm it up and we will be able to continue with our project. Back to the yard we go with the trees. A couple of days later, ready to plant some trees. But now the sun is back behind the clouds and now it is cold out! A mix between snow and rain was gracing their presence. Oh and did I mention the wind. Yuck! 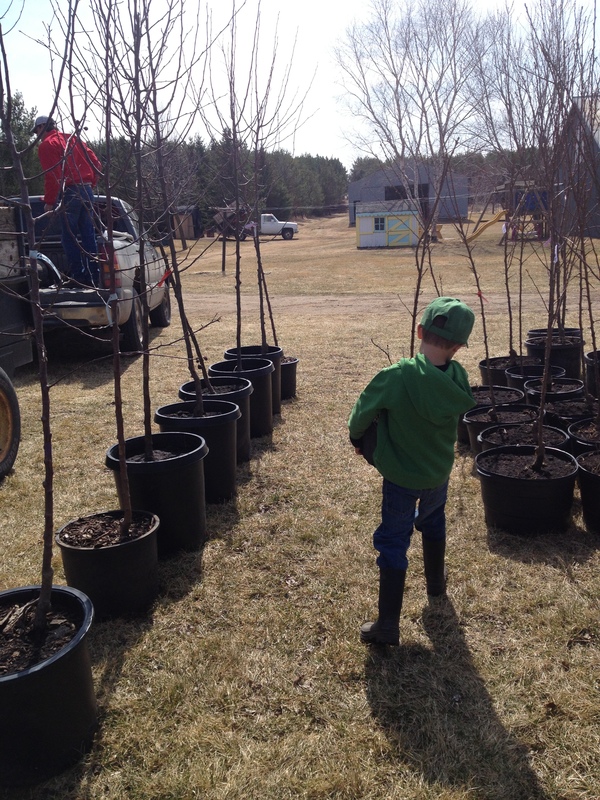 The next couple of days we were able to finish planting the trees. But now where to put the apple tree. 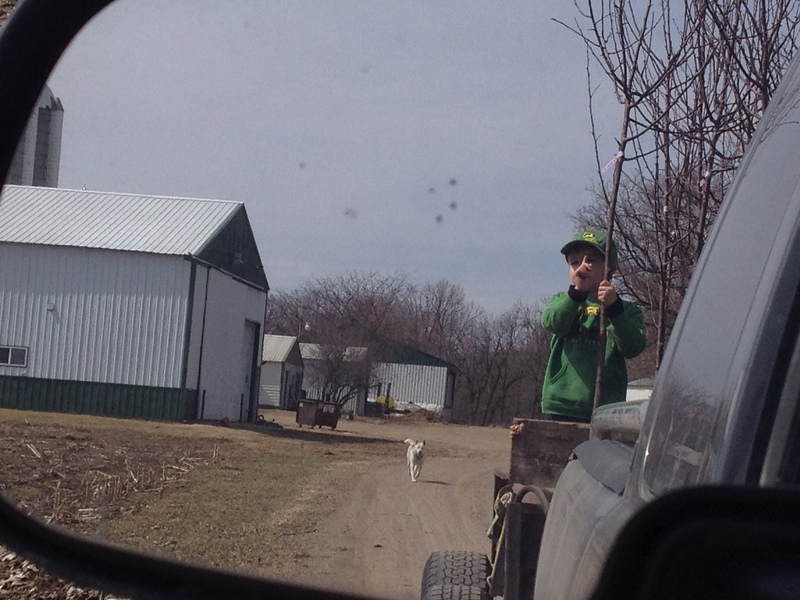 How do you haul an apple tree when you are five? With a dump truck of course. Everett yells to Nate, “Dad wait I need to get my digger!” Everett hauls his digger all over the yard, he has a lot of digging to do in his sand box and even in my flowers beds. Every new tree needs a good drink. Brenda you are a great story teller! Best thing is you will have these memories written down for your kids to read one day! Keep up the fantastic job! !